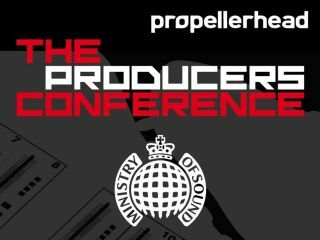 PRESS RELEASE: Propellerhead and UK distributor Sound Technology Ltd are pleased to announce The Propellerhead Producers Conference at the legendary Ministry of Sound in London on Saturday 23 October 2010. The event features top artists and producers presenting a series of creative clinics. The line-up includes A Guy Called Gerald with a production masterclass and exclusive live performance, Freemasons with a remix masterclass, Sharooz with a sound design masterclass and Propellerhead's own James Bernard with invaluable Reason and Record hints and tips. This is a not-to-be-missed opportunity to get the inside track on the latest production, remix and sound design techniques, all straight from the artists and producers themselves. And of course, featuring the latest Reason 5 and Record 1.5. Tickets cost £10 for the conference which runs from 2pm to 5:30pm plus free entry to Ministry of Sound in the evening. You'll need to be quick, only 200 tickets are available!